"Thanks, Richard, for your research on J.S.Woodsworth, Charles Gordon (pen named "Ralph Connor") and the Social Gospel movement. I knew Charles' son, King Gordon, very well. We co-founded the Group of 78 and I spoke at his remembrance service. King was a strong UN supporter, having represented it in the Middle East and Africa as its Information Officer. "I was distressed to learn that King's father and J.S.Woodsworth shared the myth of the supremacy of the Anglo-Saxon culture, and that immigrants were stereotyped as 'Strangers in our Midst.' I had no idea that Charles Gordon and my hero J.S.Woodsworth had such views. "Good research – though sad." 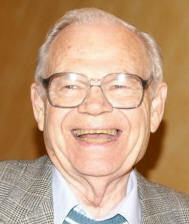 Murray Thomson was born in China to United Church of Canada missionaries. After graduating in 1947 he worked in the adult education division of Saskatchewan's CCF government. As a pacifist and member of the Society of Friends (Quakers), Murray worked in Thailand and India (1956-1962) and for CUSO (1970-1974). He was the Peace Education Secretary for Canadian Friends Service Committee (1962-1969). Over the decades, Murray helped found groups such as the Quaker Peace Education Centre - Grindstone Island (1963), Project Ploughshares (1976), Peace Brigades International (1981), Peacefund Canada (1985), and Canadian Friends of Burma (1991).